As part of an investigation into the Bosnian "pyramids", I was recently interviewed by a site that would probably fall into the "alternative" category. Following apparent pressure or intimidation, the site chose to remove the entire contents of the investigative file. However, I am exercising my prerogative as the owner and administrator of copyright in my own comments to reproduce here, on my website, my replies to the various questions put to me. Q: Hello, and thank you for agreeing to reply to our questions. Allow me to introduce you to our readers: for some years now (since 2005, or 2006? ), you have been one of many sources of information about the site in Visoko known as the “Valley of the Bosnian Pyramids”. 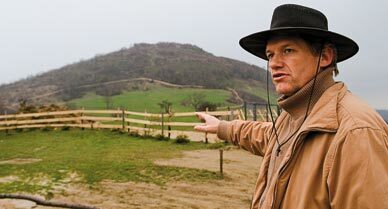 The sole Bosnian source of data concerning this "archaeological site" has been Semir Osmanagic and his "Bosnian Pyramid of the Sun Archaeological Park” Foundation, and, as someone who is deeply interested in the history, archeology and geology of the region, you have subjected this data to a series of searching analyses. Please correct me if I’m wrong! Irna: Hello, and thank you for inviting me to your site! 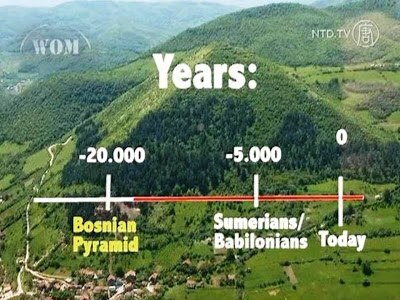 As you say, I have been following the Bosnian "pyramids" affair since the end of 2005, in other words, since about the time when Semir Osmanagic made his first public announcements; and, in June 2006, I set up my own website dedicated to this question. To your introductory comments could be added two facts: that I have a good reading knowledge of Bosnian, which has often allowed me to obtain information otherwise untranslated by the Osmanagic Foundation; and that I am a trained geomorphologist. However, the work of analysing data provided by the Foundation is not necessarily a task for the specialist: my position is generally that of a knowledgeable amateur trying to verify information, to trace sources, and make cross checks. Q: Let’s get straight to the heart of the matter: why were these constructions not discovered “until 2005”? Let’s recall that their discoverer, Semir Osmanagic, was a Bosniak-born businessman living in Houston, USA. He presents himself as holding a doctorate in anthropology... after which things get rather unclear. Irna: The distinctive shape of the “Pyramid of the Sun”, i.e., the hill of Visocica, is undeniably quite striking, at least when viewed on its northern face, whose hillside forms a fairly regular triangle. It is, incidentally, this face that is always shown in photographs; the other sides are all but indistinguishable from the sides of a normal hill, and don’t display anywhere near the same regular geometric shape. For instance, there is no real south face, as can easily be seen from any map or aerial photograph (see photo below); the south and east sides of the "pyramid" merge without any identifiable edge between the two. In fact, very many hills in the region do have vaguely triangular or trapezoidal sides, the result of valleys hollowed out through sedimentary terrain uplifted and folded in various places since the end of the Tertiary. Half a dozen professional geologists have carried out field research on these hills, and published reasonably detailed reports containing exhaustive explanations for the appearance of the local landscape (see for example the 2006 report by Dr. Amer Smailbegovic). I have published a brief summary of the geology and geomorphology of the area on my site, and I have also included a similar account in a short book to be published soon in the "Une chandelle dans les ténèbres" [“A candle in the darkness”] collection, available from the publisher Book-e-book (also an e-book since 2015). Readers wanting to know more will find a number of additional links on this page. Q: In an attempt to defend his position, Osmanagic has cited several pieces of evidence. Could you tell us more about these? A) Irna: According to every professional geologist who has examined the substance, what Mr. Osmanagic calls "concrete" is actually "pudding stone", that is, a natural conglomerate of debris consisting of relatively rounded pieces of rock, bonded together by a calcitic/dolomitic matrix. This conglomerate was formed several million years ago in the lake that once occupied the area where today we see only hills. At that remote epoch, when the whole of the region was being geologically uplifted, there was a very active process of erosion, and the rivers surrounding the lake deposited huge amounts of debris, of varying degrees of coarseness, which then lithified (lithification being the process in which sediment turns into rock), becoming sandstone or marl in the case of finer debris, or conglomerate in the case of the coarser debris. Mr. Osmanagic claims that geologists are wrong, and that "scientific analyses have proven" that the substance was concrete. However, several of these analytical reports have never seen the light of day. This is the case, for example, with an analysis supposedly carried out ​​by the Polytechnic Institute of Turin, which, to the best of my knowledge, has yet to be seen by anyone at all. Admittedly, there are other analytical reports, but none of them contains any conceivable proof that the substance under discussion is concrete. For example, Civil Engineering Institutes of Bosnia, having tested the properties of the material, have confirmed that it is indeed very strong, but their reports say not one word about the origin of the substance, and whether it is natural or artificial. Mr. Osmanagic also relies on an analytical report by Professor Davidovits, a geopolymer specialist. But, although Professor Davidovits tested a fragment, sent by Mr. Osmanagic himself, it had not come from any of the “pyramids” – and Professor Davidovits recently blogged on his website that: "the information published on the Bosnian Pyramids websites are inaccurate." It must also somehow have slipped Mr. Osmanagic’s mind that there was a further analytical report, the work of another geopolymer specialist, from Drexel University (who, incidentally, was working on the theory that the blocks of the Great Pyramid of Khufu were moulded), who concluded that there was no possibility that the samples of conglomerate sent to him from Visoko for study had any artificial origin (see pp 130-134 [151-155 of the PDF]). B) Irna: What are called "paved roads" are simply sandstone layers (omnipresent on the “Pyramid of the Moon”) that have been partially cleared by excavation work. What gives them the appearance of “paving stones" is yet another completely natural phenomenon: during the progressive uplift of the region, tectonic movements fractured these layers in two directions, at right angles to one another - orthogonal jointing - thus creating the illusion of “paving.” In the natural world, there are many other examples of this type of "paving": for example, the "floor" formed of perfectly rectangular slabs at Eaglehawk Neck, Tasmania (photo below), or the Bouddi Peninsula in Australia. 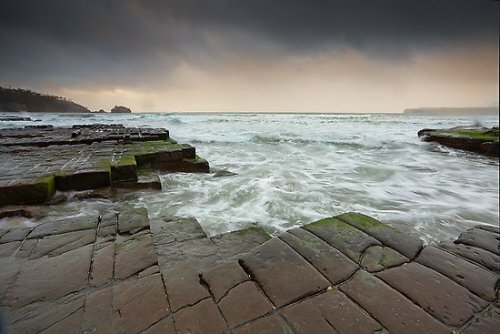 The most conclusive proof that this "paving" is natural is the presence of "ripple-marks" - wrinkle marks left by the tide, as seen on beaches worldwide – that were formed at the bottom of the lake before lithification of the sediment. 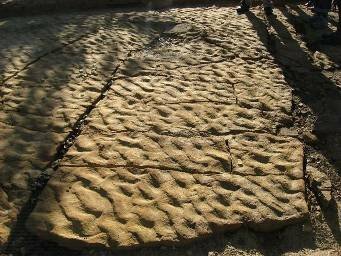 Each “paving slab” follows on from its fellow in an ever-repeating sequence, something that would be virtually impossible if these “paved paths" had been constructed by man. It is therefore quite possible that, in terms of EM radiation and/or ultrasound, there might be some local anomaly on the hill of Visocica. However, the question should be firmly and systematically tackled from the outset. 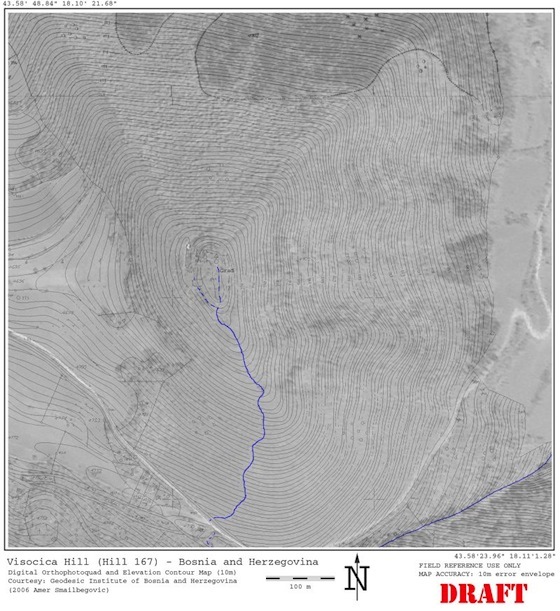 Measurements should be carried out over relatively extended time-periods (at various points during the day, and the year…) and with a sufficient number of points of comparison with other hills in the area... so that a proper measurement protocol can be set up! If, at length, it becomes apparent that there is an anomaly of some sort, that would be the time to start searching for the origin of that anomaly. One electromagnetic anomaly doth not a pyramid make…! F) Irna: "Hypothetical" is definitely the word for it! There is no evidence to suggest that these supposed ducts actually exist. Two things should be borne in mind: that the distance from the Ravne tunnel to the “Pyramid of the Sun” is about 3 kilometres (and further to the other "pyramids"); and that, between the two locations, the supposed route of the tunnel has to cut across two ravines that are deeper than the current height of the tunnel! G) Irna: The triangle is equilateral provided that you don’t fuss too much about precision, or the location of the points of the triangle (which, contrary to what is shown on the documents from the Foundation, are not situated on the actual hilltops). Also, as I said earlier, the area is full of hills whose slopes are vaguely triangular or trapezoidal. What would be more surprising, in my opinion, would be the absence of a more or less regular equilateral triangle formed by three peaks in this area! Again, another analytical report was carried out by an Italian group, independent of the Foundation, whose members include a geologist. From an examination of samples from one “monolith," this geologist concluded that what she was looking at was an unremarkable example of sandstone. (Unfortunately, this report has never been published by the authors, who have restricted it to private circulation. However, the findings have been published on an Italian forum [scroll down to the section “Concrete and Megaliths" - Dr. Nunzia Croce]. Dr. Nunzia Croce’s conclusions were confirmed by the leader of this Italian group himself, Paolo Debertolis – posting as “Pablito" on another Italian forum). J) Irna: In fact, several C14 dating tests have been carried out, providing a rather impressive range of dates, from 3,000 BP to 35,000 BP! The problem is: what –exactly - was dated? In an archaeological dig, absolute dating, whether obtained from carbon-14 or other methods, complements the stratigraphy that allows the establishment of relative dating; the archaeologist knows what it is that he wants to date, and the reasons for that. In the case of Visoko, it is not archaeological remains (hearths, timber, bones...) that have been dated, but organic plant debris (roots, leaves, fragments of wood...) collected at random from the surface, or from within the sedimentary layers. K) Irna: On the composition of the “monolith", please see my previous comments: most probably, it is just an ordinary block of sandstone. Here again, we do not know much about what methods were used; and any statements made by the Foundation tend to be contradictory: sometimes they speak of a crystal, sometimes a metal object. If there really is something inside the block, it is probably an iron oxide concretion similar to the ones visible on its surface. Irna: From Mr. Jongbloed’s admission on his Facebook page, whether through lack of time, equipment, or some other reason, this expedition failed to achieve much. Moreover, judging from such statements as: “We do not know if the electromagnetic frequency is [...] a kind of amplification of the electromagnetic part of the ultrasonic wave”, Mr. Jongbloed’s scientific knowledge seems to leave more than a little to be desired… He does not “confirm" anything; he merely repeats the statements made ​​ over the years by Mr. Osmanagic and his supporters, without offering any more evidence and arguments than they did. The fact that air does circulate properly in the Ravne tunnel is probably an indication of the existence of one or more other access points; and we should not forget that the tunnel is shallow, hardly more than ten metres below the surface, so that ventilation could be taking place through cracks, or even simply through the porous rock through which the tunnel has been excavated. No need for some mysterious technological explanation for this phenomenon! Irna: From the social and economic points of view, Bosnia is actually in a disastrous state. This is partly due to the aftermath of the war and the very slow process of reconstruction, partly to a political system riddled with irregularities and inefficiencies, and in part to the wider economic and financial crisis. This argument is often the last resort of the "pyramids" proponents: even if the existence of the "pyramids" is not proven, they would at least have the advantage of attracting tourists, generating economic activity and a wake-up call to the sleepy little town of Visoko. 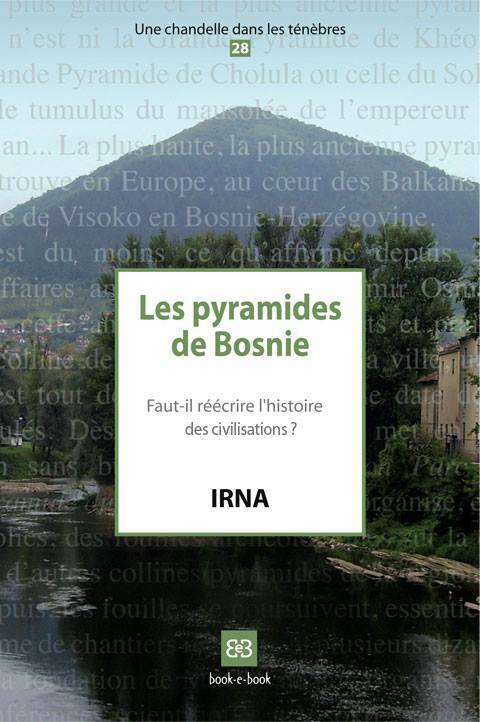 It is true that, at one time, the "pyramids" seemed to many Bosnians - especially Bosniaks (the section of the population formerly called "Muslims”) - as a means of using the weapon of history to strike a blow for national pride and provide an opportunity to have their country discussed in terms other than those of war, genocide and poverty. It is also probably not a coincidence that it is amongst the Bosnian diaspora, faced with all the suffering of exile, where the account of the "pyramids" has enjoyed the most success. Q: EPR2, to take place at Visoko, is scheduled for April-May 2014, with Mr. Jongbloed still in charge. Does this really seem plausible? Perhaps Mr. Jongbloed will have learned lessons from the first EPR, and will now be making an effort to carry out some real scientific work? Or at least a genuine analysis and verification of the available data, involving competent scientists? For the past ten years, admittedly, Mr. Jongbloed has announced several expeditions and discoveries, but provided little in the way of concrete results, so his track record in this respect is not really too encouraging. However, we shall see! In the meantime, your readers can always explore the question in more depth on my website, where, since 2006, I have been gathering analyses and reports on the available data. Q: How was Osmanagic ever able to involve so many people and resources in what appears to be nothing more than a fantasy? Irna: I would suspect that the answer to this question is highly complex, and that there are a range of different responses, depending on whether we are talking about Bosnia and Bosnians, or about supporters of Mr. Osmanagic in other countries. As regards Bosnia, the historical and national context must play a very significant role. There is an interesting account, written by a young exiled Bosnian artist, showing how the suffering of a people (war, genocide, exile...) can lead to the involuntary construction of a fictional past. Elsewhere, the “pyramids” affair has given rise to various sociological and epistemological studies on the links between archaeology and ideology, nationalism and archaeology etc. as, for example, in this paper by the archaeologist Danijel Dzino. For my part, in an article published in the journal Balkanologie, I tried to briefly run through some of the reasons for the success enjoyed by the Osmanagic project in Bosnia (see Part 2, on “Les stratégies de Semir Osmanagic [The strategies adopted by Semir Osmanagic]" and Part 3 on “Le contexte favorable [Striking while the iron is hot]"). We should also not lose sight of the fact that Mr. Osmanagic, far from being a "black sheep" rejected and persecuted by all and sundry, as he sometimes likes to make out, is a highly influential person, with many connections, not only in the media, but also amongst the Bosnian business and political communities! Letter from the laboratory of the University of Oxford, dated September 2008. See Tunnels, fossilized wood and radiocarbon dating.